Who doesn't love a good ASOS delivery? Until you check your bank balance afterwards, you're riding high. So, imagine if you didn't even heave to spend as much cash to get your fix?! Twitter users have discovered a way to do just that, and with a simple switch of settings yo can save some serious money. 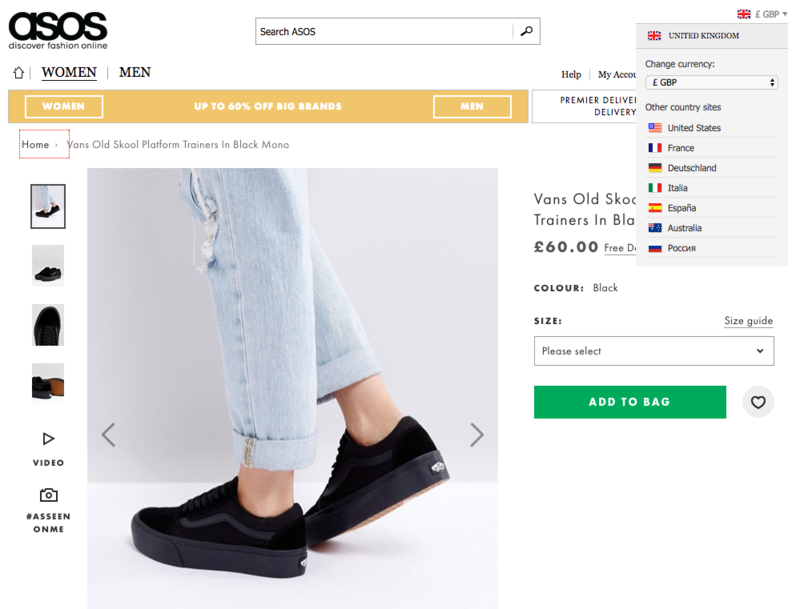 Because designer brands are usually cheaper across the pond, and Asos offer free worldwide delivery, there's a loophole you can take advantage of. First, you find a product you might want to purchase. I've gone for some Vans that are £60. See that menu bar with a little Union Jack in the top right corner? Click on that and change your setting to United States. Then click the same menu bar again, and switch the currency to GBP. A nearly £20 saving on the exact same item is amazing. Okay, we probably won't actually spend less, but at least we'll get more for our money. 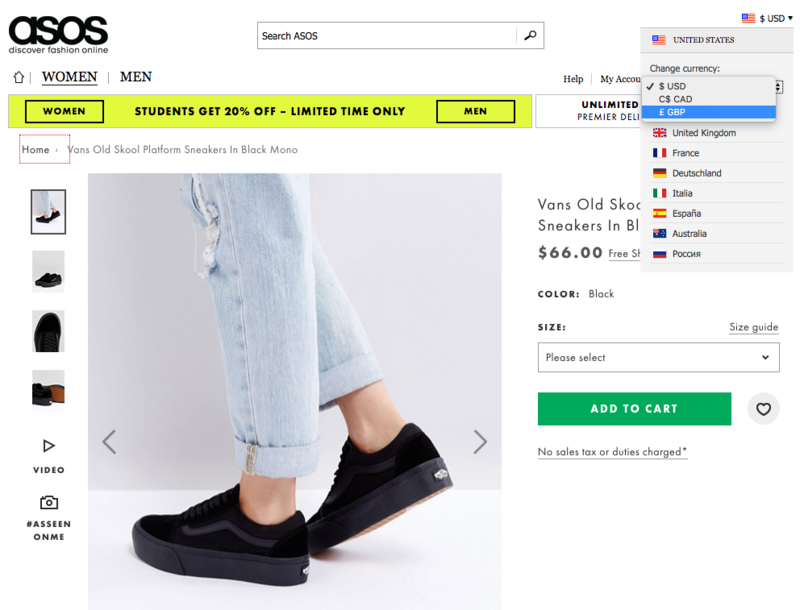 It's saved money for hundreds of people on everything from Calvins to Doc Martens, so it's worth checking if it works on the item you're coveting. 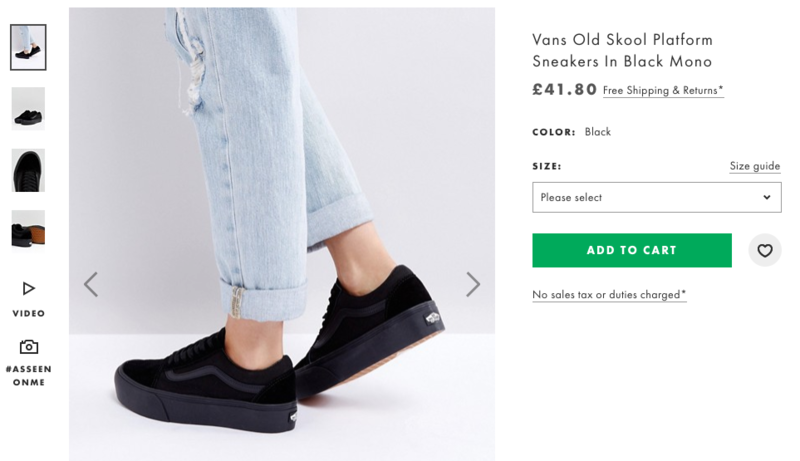 Do it now before Asos realise and stop the glitch!